Dr Jonathan Larwood, a geologist at Natural England, tells us about the treasures to be found on our geologically diverse coastline. We’re incredibly lucky that England is one of the most geologically diverse places in the world. 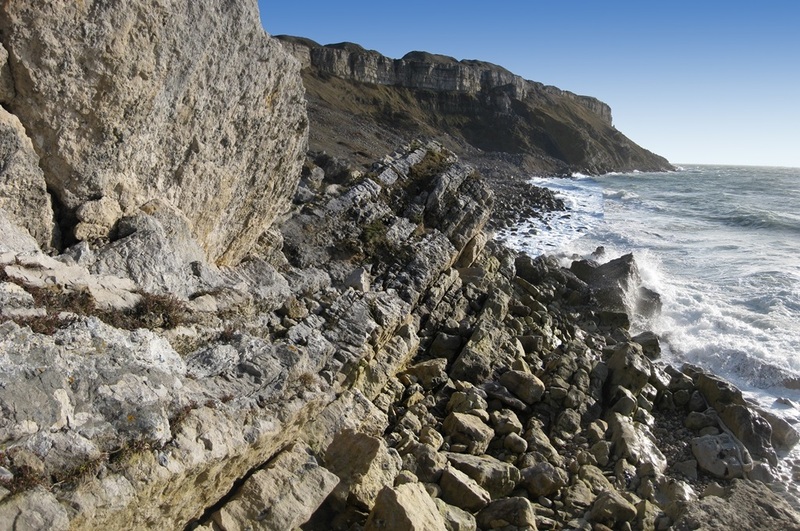 Where better to see the rich geological diversity that England has to offer than rambling around the England Coast Path which will bring new and improved coastal walking around our stunning and dynamic coastline. Our coastal geodiversity is second to none and offers a real journey through time. Exploring the coast along the England Coast Path widens our opportunity to reveal the past and gives us a sense of what the future may hold. It takes us to ancient worlds and brings us into contact with one of our most changing and dramatic environments. The white chalk cliffs of the south coast, Yorkshire and Lincolnshire - formed in a shallow tropical sea some 100 - 70 million years ago. Chalk comes in red as well (see above)! The spectacular cliffs at Hunstanton on the North Norfolk Coast expose red chalk overlain by the more ‘traditional’ white. The Magnesian Limestone cliffs of the Durham coast which originated in tropical reefs 255 million years ago and today support rare limestone plant life. The rocks of Robin Hood’s Bay, in North Yorkshire, reveal the early Jurassic world of ammonites and marine reptiles (195 million years ago) and are linked by Wainwright’s ‘Coast to Coast’ path to the red sandstone cliffs of the Cumbrian St Bees Head – the remnants of vast Triassic rivers (250 million years ago). 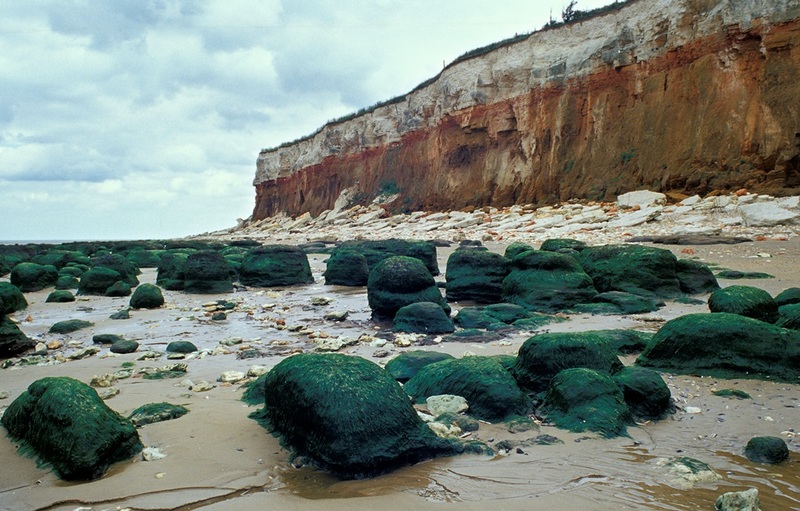 The softer, rapidly eroding, cliffs of the east coast were formed in the Ice Ages and reveal fluctuating glacial to sub-tropical environments, they often contain fossils such as the Norfolk West Runton Mammoth which roamed the area some 600,000 years ago. At Happisburgh in Norfolk, the earliest ancestral human footprints outside of Africa (dated at between 780,000 and 1 million years old) have been found. 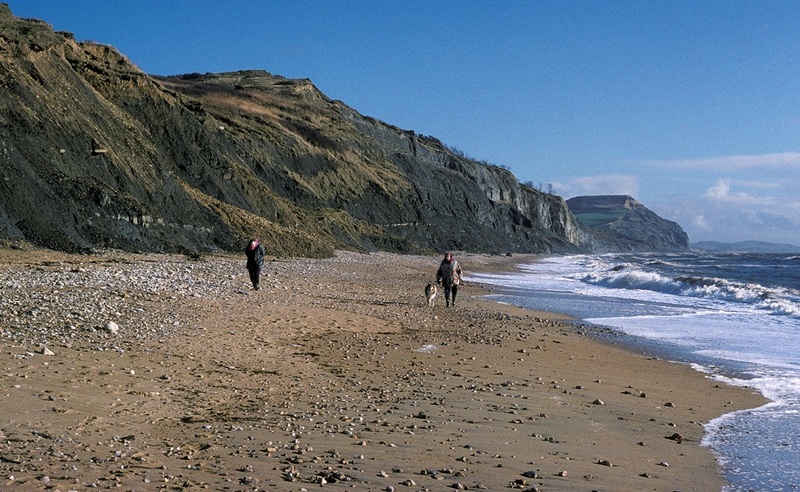 Did you know that the Jurassic Coast is identified by UNESCO as England’s only natural World Heritage Site? This 95 mile stretch of coastline is of ‘outstanding universal value’ because of the contribution it makes to our understanding of the evolution of the Earth, and the development of Earth science. Over 250 million years of geological time, changing environment, and life are revealed by this coastline which encompasses the Triassic, Jurassic and Cretaceous Periods of geological time. In 1793, William Smith, the ‘The Father of English Geology’, likened layers of rock ‘to slices of bread and butter’. It was William Smith's journeys from coast to coast that led to the world’s first large-scale geological map in 1815. We’re privileged that our coast remains the best place to see Smith’s sandwiched geology laid out before us today.